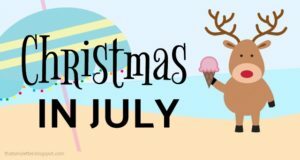 Last Friday in August friends, we’re turning a corner and for me that means back to real business and getting some work done! 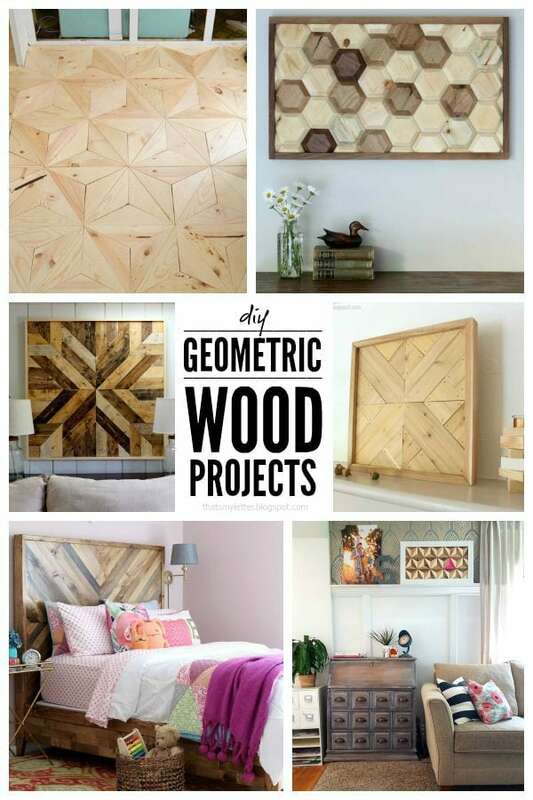 I thought I’d round up some inspiration: a few of my favorite DIY geometric wood projects made by my buildy blogger friends. If you save all your wood scraps like me then finding a way to make them useful can sometimes be alluding. 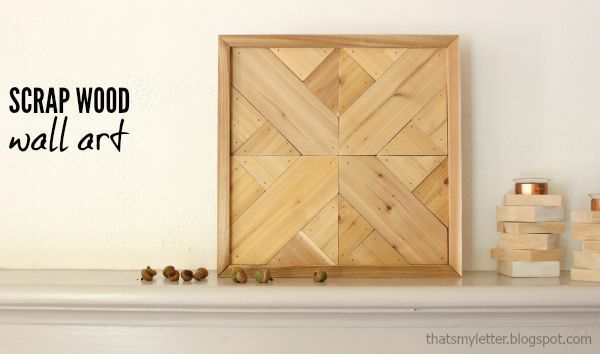 These 6 geometric wood projects are all great options to make use of that scrap wood. 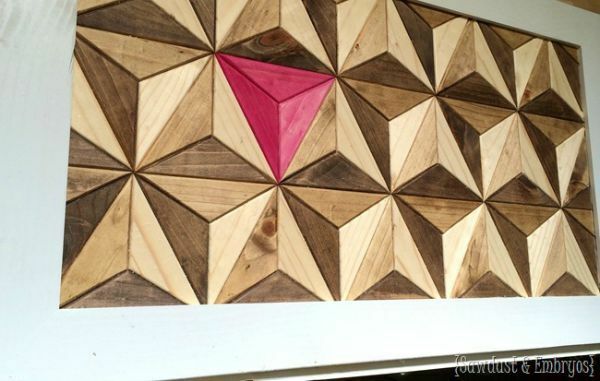 Beth at Sawdust & Embryos made this awesome geometric wall art and ALL the pieces came from one 1x8x8 board. Amazing and beautiful. 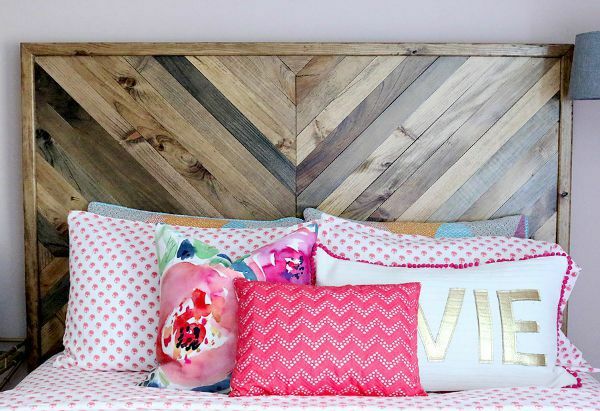 This bed is probably not a scrap project but definitely fits into the geometric wood project category. 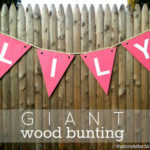 Jen at House of Wood built this beauty and she has plans so you can do it too! 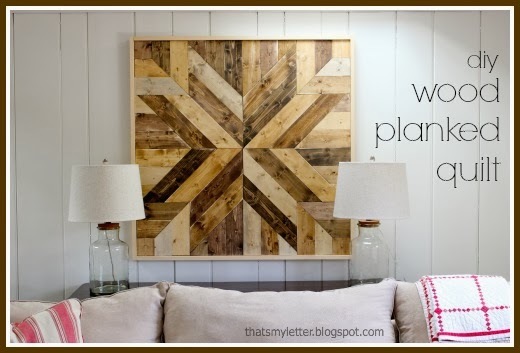 I made this wood planked quilt wall art awhile back. 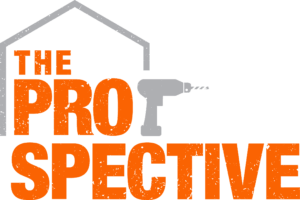 If you don’t mind miter cuts then this project is a big bang for a little buck. See the details here. Pauline at My Altered State wins the award for best use of scrap wood of all time. 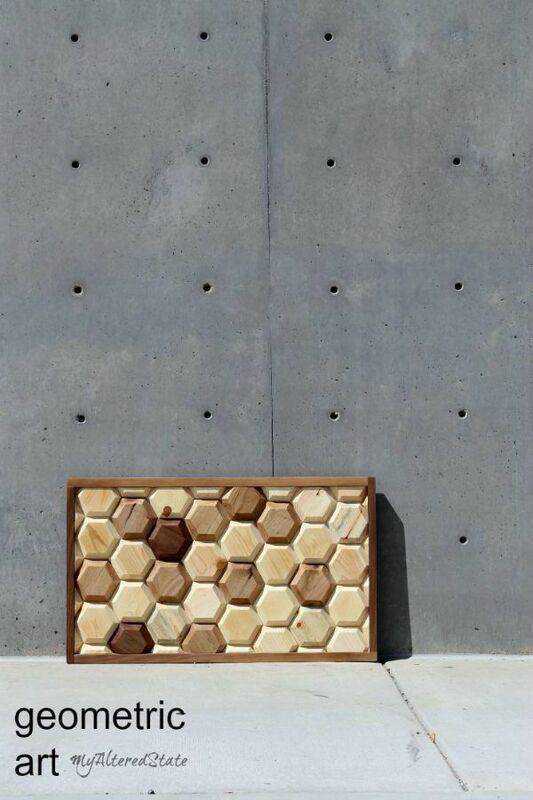 This geometric honeycomb art is out of this world plus she has lots of other scrap wood projects you’ll want to see on her blog. 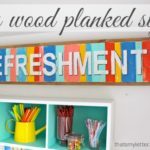 I shared this simple scrap wood wall art last week made from cedar. It’s a smaller piece that would make an easy gift idea, the plans are here. 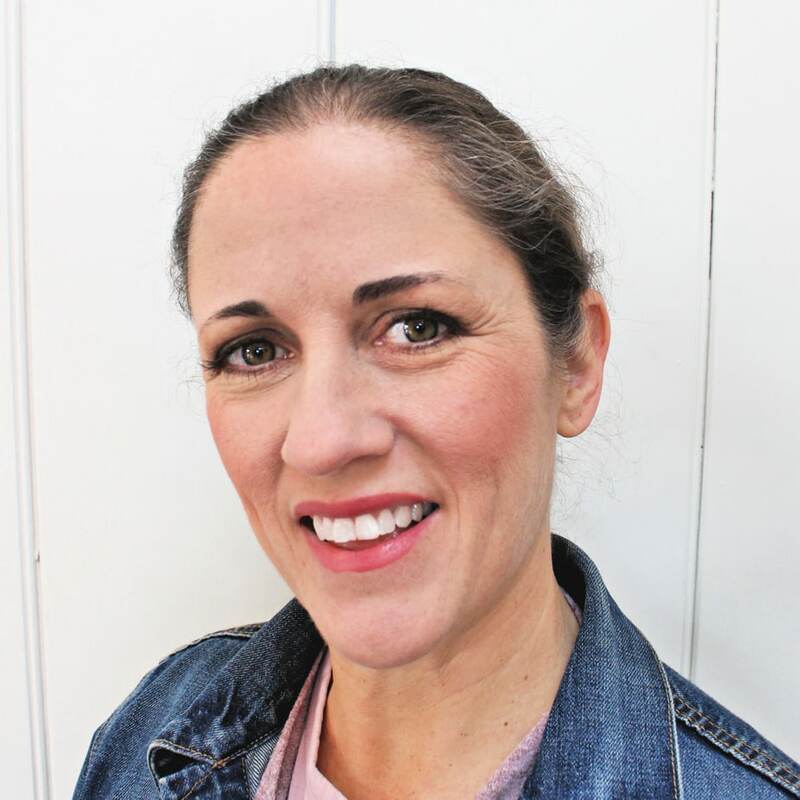 Of course I cannot leave out Mandi at Vintage Revivals geometric wood floor in The Nugget. 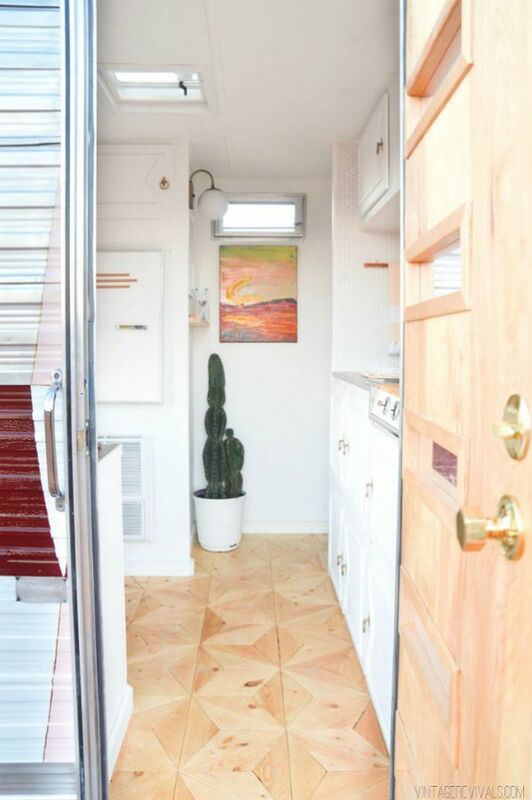 Well worth the time and energy for a great design, she shares the details here. 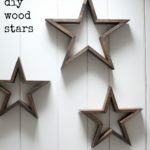 Hope this give you some ideas to make use of your scrap wood! This is such a fun roundup! It's an honor to be included. 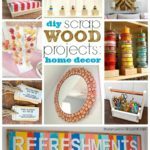 these are all so cool – I am very inspired to grab my scraps and get busy!! !